Seriously, I’m going to have to start calling Sam’s shirt “Joe” and “Fred” soon, because trying to give them titles that describe them is too much work. This shirt is light blue with a very subtle stripe to it. It’s western-cut and does up with snaps, as is usually Sam’s preference. 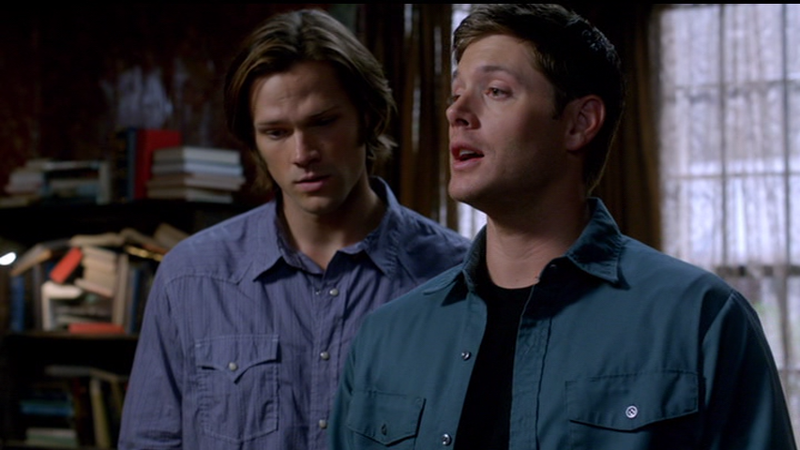 In Meet the New Boss (7x01), we first see Sam in this shirt when Crowley delivers the spell and the boys get ready to summon Death. Sam wears it until after they finish talking to Death. Oh, I like this one! Nice to see him with a shirt that isn't plaid. 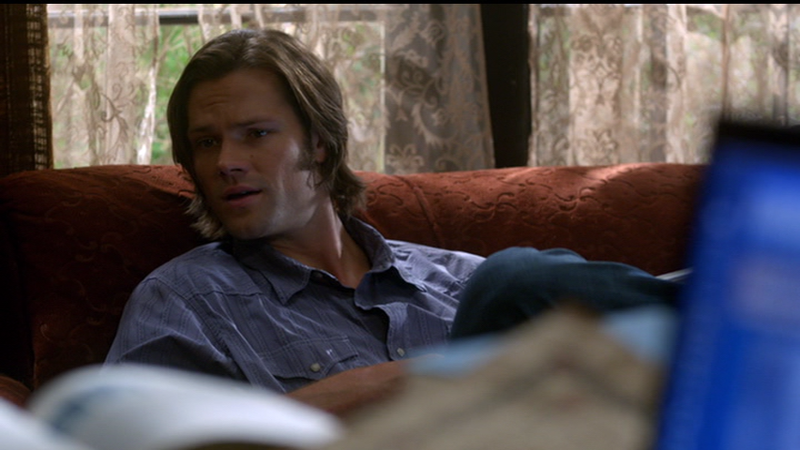 I like the color on Sam's shirt as well. It's a good color for him. On a side note, I also like Dean's shirt in the first pic. Another different color for him that looks really good.